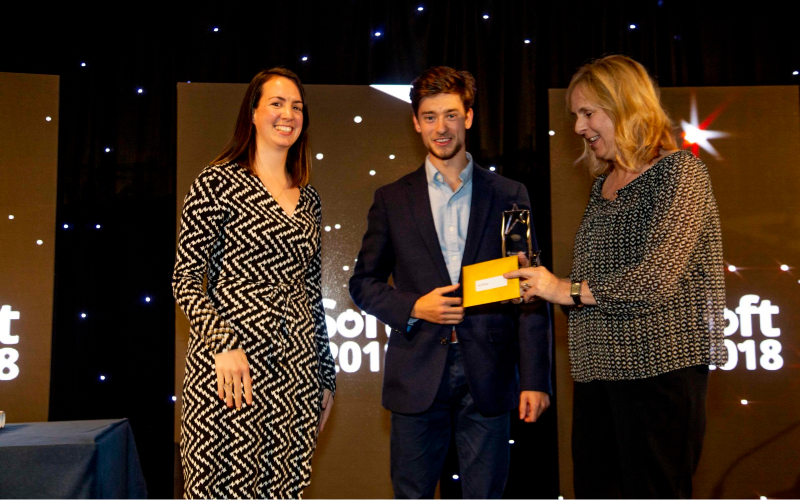 Thursday the 27th of September saw us crown our annual e-Placement Scotland Placement of the Year awards winners in front of nearly 600 industry relevant guests at the ScotlandIS event ScotSoft2018. All three companies who were shortlisted (first-time users of e-Placement Scotland's undergraduate recruitment services) submitted fantastic applications, showcasing their considerable investment in growing and nurturing tech talent through their student placements. In all cases, the students were able to make valuable contributions in solving real-life business problems during their placements, benefitting the companies, their customers, and of course the students’ career development. This made deciding on the overall winner a very difficult task for the judges. 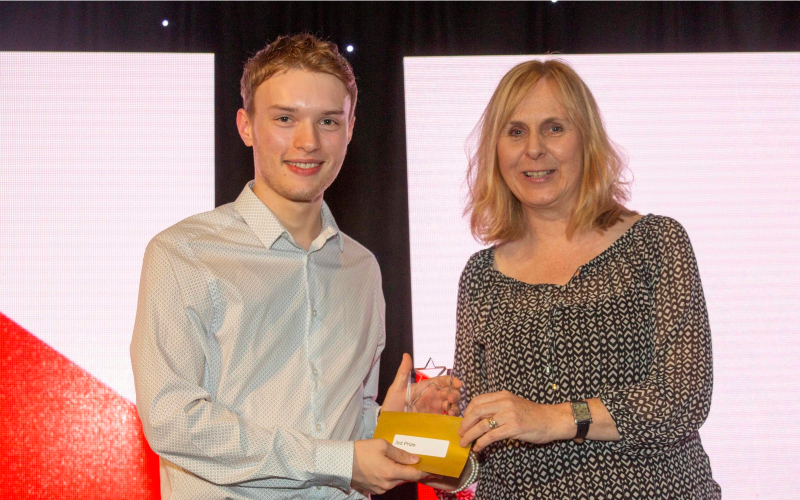 Harry Nicholls, BSc (Hons) Business Information Technology student at Robert Gordon University, together with NHS Highland, were awarded the Gold Award, in recognition of an outstanding student placement. Harry initially started as an Assistant Business Intelligence Analyst working within the Business Intelligence Team writing report specifications, developing reports and working on development projects to provide enhanced data analytics to the wider organisation. After a successful 6 months working as an integral part of this team, Harry was seconded out to the Planning and Performance department for half of his week. Within this department he was tasked with automating a long list of manual, operational tasks resulting in a saving of 16 weeks of man hours per year equating to around £10,000 in recurring annual savings. Our Silver Award winner was Jamie McCulloch, a Masters of Software Engineering student from Heriot Watt University, along with his placement provider, Time2Dine. Time2Dine is a revolutionary new concept for restauranteurs and diners. The company is aiming to significantly improve the restaurant experience for people dining out, while at the same time help restaurant owners use new technologies to decrease waste and increase sales. 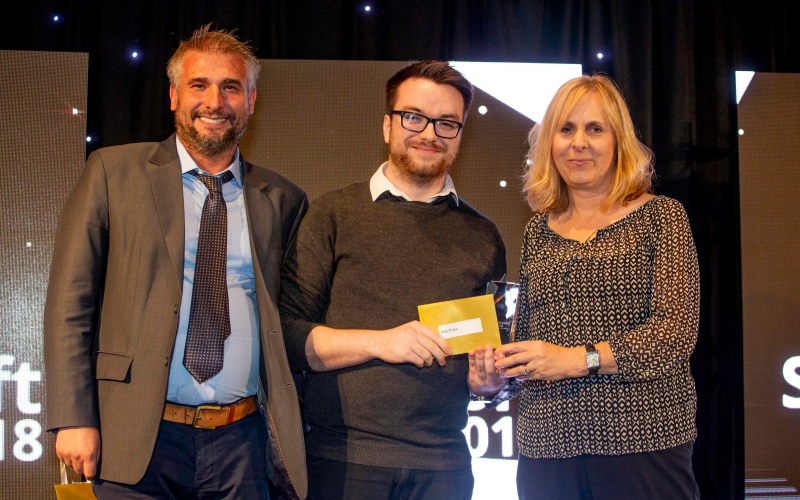 Matthew Lynch, a BSc (Hons) student in Web Design & Development from Edinburgh Napier University, along side his placement employer, My Server Guy, secured the Bronze Award. My Server Guy offer bespoke website solutions which allows companies to have IT Support and hosting guidance on demand. The quality of entries for the awards this year was so high this year, that we also awarded a commendation to Daniel Costa, with his placement provider, Pulsion Technology. e-Placement Scotland was established to close the computing skills gap by matching able students with high-quality work placements across Scotland. Since it’s creation, the programme, run by Edinburgh Napier University and the trade body for the digital technologies industry ScotlandIS, and funded by the Scottish Funding Council, has created over 2000 paid student placements. e-Placement Scotland director, Sally Smith, thanked all the companies who entered the awards and offered congratulations to all the winners.